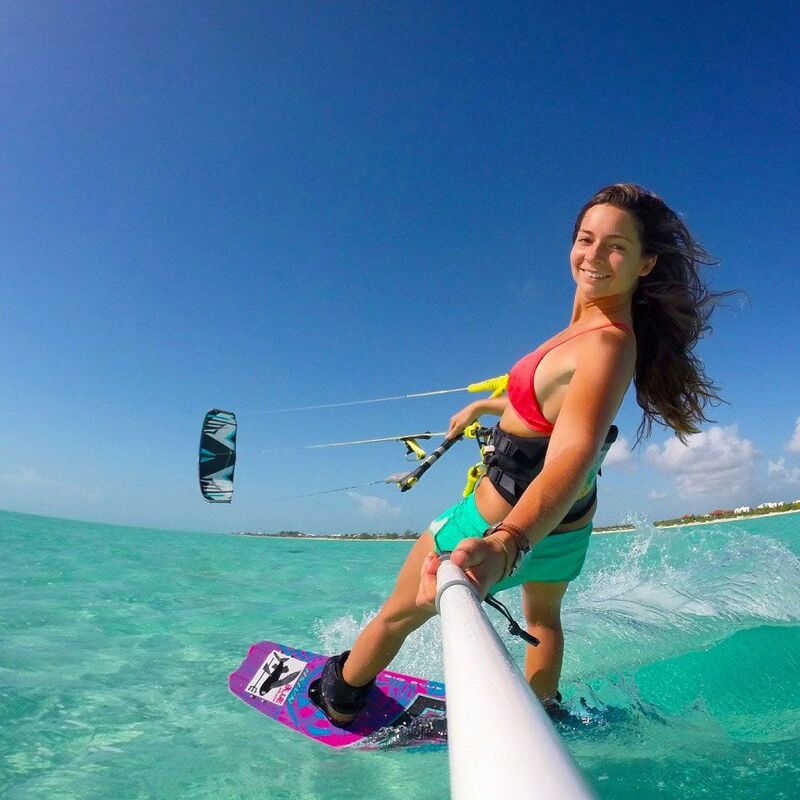 It is now the turn of the adorable Hope LeVin who comes to us from Turks and Caicos Islands and is also Naish Team Rider, for her style closeup on KiteSista. We give you a little preview of some of the new products available from Penny For Your Thoughts, ocean adornments for underwater sirens. What is the perfect beach sweater? A friend of ours seems to have found the perfect solution. Skye & Sane. We were already in love with the Kassia Meador line from Roxy but now it looks she has decided to go it alone with her own amazing collection. It is now coming to the time to starting thinking about our winter style …no matter whether we are able to do big airs in the park, we can still take pleasure in our outfit. We already introduced you Mala Mujer and because we thought you might be motivated to get some amazing and beautiful clothes for your next trip, here are some special bargain just for you courtesy of Mala Mujer. Last week we showed you Nuria Goma and Rita Arnaus sporting new surf suits you you won’t have seen before. Now it is time to tell you a bit more about Wetsweets. U&I is a women’s surfwear label Inspired by the power of the ocean and designed to complement the grace of female board riders. This is your chance to be one of the first to have your very own Sirensong wetsuit. There are new models available, new colours, new styles, in short there is something for everyone. A very girly article which allows us to keep a little bit of our girly style during our sessions even if we have hair everywhere covered in salt. Thanks to L’Oréal for having created the Beach waves spray following by a tutorial which will definitely help you to get the perfect beach waves hairstyle really easily and stand the chance to looks like Kirsten Dunst.